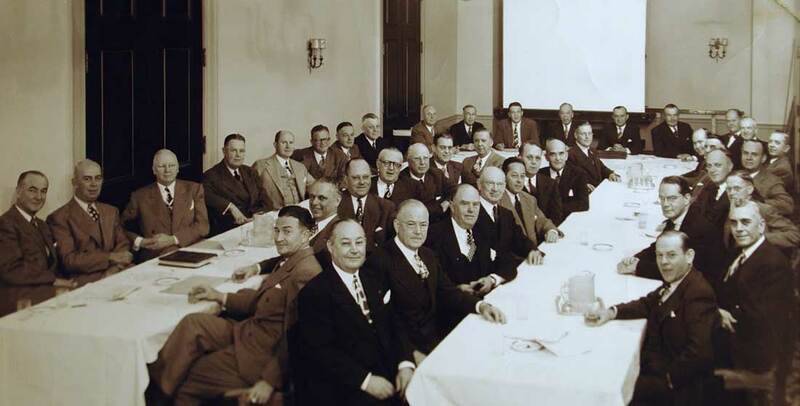 PESA members at a meeting in Chicago in 1947. Founded in 1933 as the American Petroleum Equipment Suppliers Association, its role then was to assist the federal government in preparing a fair practice code for the oilfield equipment industry. With that objective accomplished, the Association’s charter members realized the value of keeping it intact as a trade association. Today, PESA’s more than 200 companies represent a diverse global workforce of 1.3 million. The Petroleum Equipment & Services Association (PESA) is the unified voice for the energy industry’s services and equipment organizations, advocating for and supporting this sector’s achievements in job creation, technological innovation and economic stability. PESA is a trusted resource, advancing member priorities on key industry issues. To promote the oilfield services and equipment sector of the energy industry and provide our membership with opportunities to network, elevate issues critical to their businesses and effectively train their workforce. PESA joins forces with allied industry associations on many issues that are critical to our membership.